The Opening Night, will be held directly after the close of the first day. The ideal setting for discussions and networking in a relaxed and pleasant atmosphere. 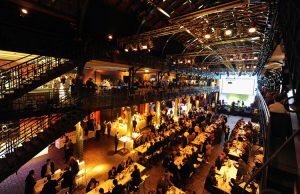 There will be short speeches, plenty of music, and drinks and a buffet meal in the historic setting of the Hamburg Fish Market. WindEurope Summit participants can purchase tickets at the HMC registration area. WindEnergy Hamburg exhibitors can order tickets via the Online Service Center (OSC) of Hamburg Messe. For more information visit WindEnergy Hamburg website.